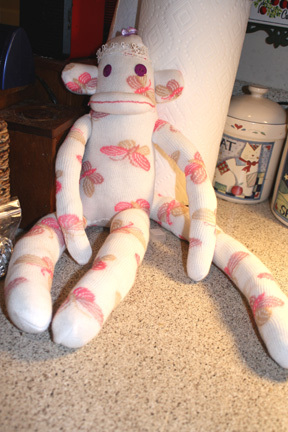 This was a custom order for a friend who wanted to give a unique gift for a newborn baby girl. 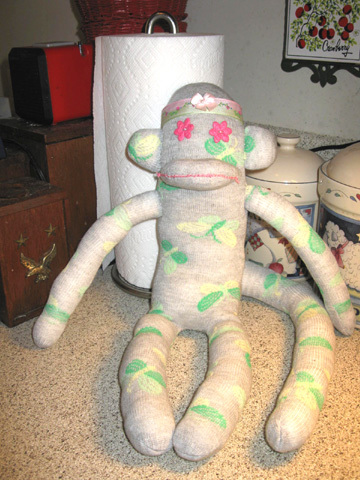 The eyes are felt rather than buttons to make it safe. 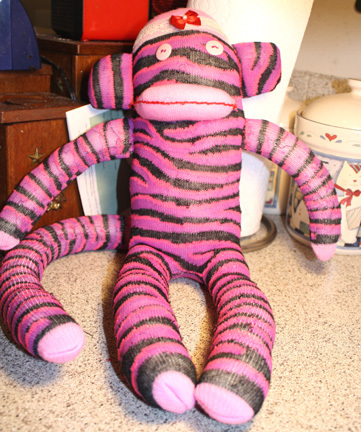 My brother wanted a 60s psychedelic sock monkey. She is definitely bright. These are the ultimate in silly. 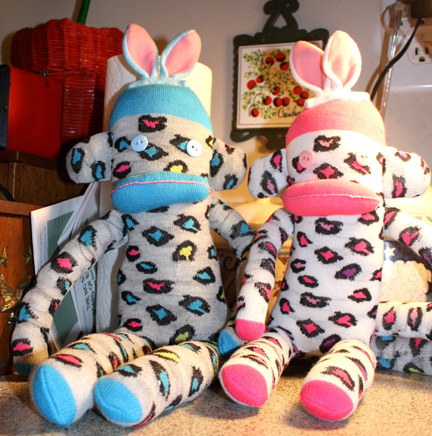 These were a special order for the Easter season. When the holidays come around the stores frequently have themed socks for the occasions. 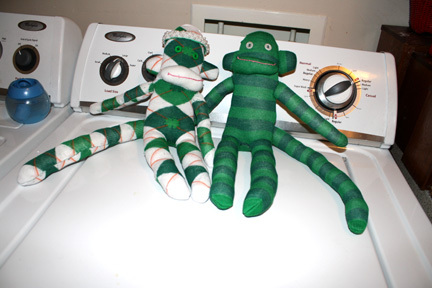 These are my Irish Sock Monkeys. 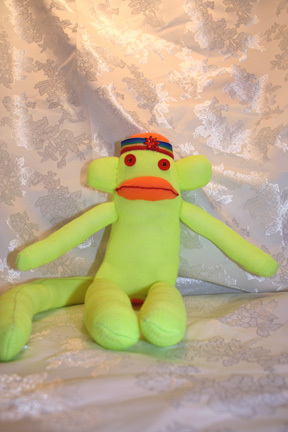 This sock monkey shows the different things that can be done to personalize and make each one unique. This was a birthday gift for a dear friend. 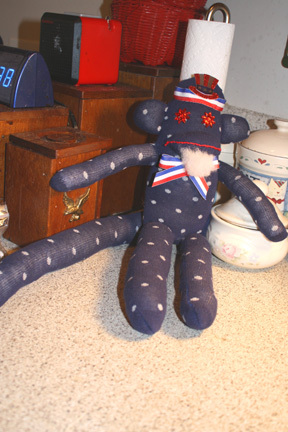 My brother wanted a sock monkey to celebrate the Fourth of July. 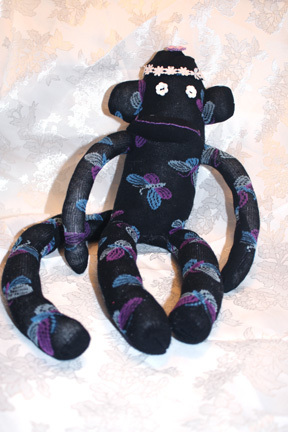 These are the sock monkeys that are for sale.